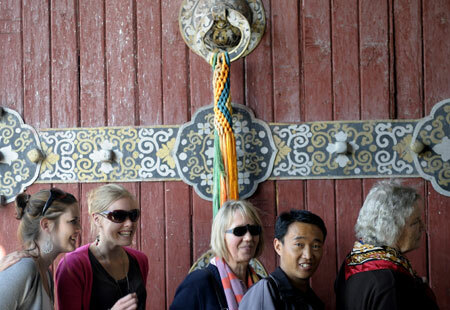 Tibet received 140,000 domestic and foreign tourists in the first quarter of this year, a 6.9 percent increase year on year, according to the Tourism Administration of Tibet Autonomous Region. The total revenue of Tibet's tourism industry reached 128.63 million yuan during that period, up five percent from the same period last year. Thanks to sustained social stability and various tourism promotion events, the region saw a revival of its tourism industry that was adversely affected by the March 14 riots in Lhasa last year. During the Chinese Spring Festival and the traditional Tibetan New Year -- which fell in January and February respectively, the region saw a booming one-day tour by receiving a total of 114,000 tourists from home and abroad. Meanwhile, with the introducing of "Traveling to Tibet in winter," in late October, the region was visited by more than 300,000 tourists. With the May Day holiday (from May 1 to May 3) coming soon, Tibet is expected to witness another peak season. 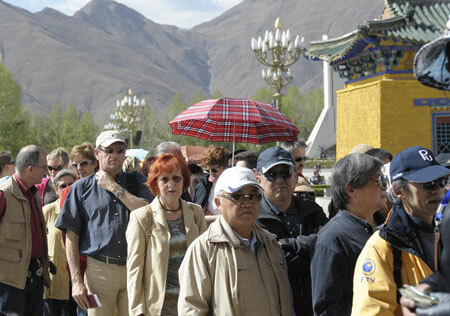 A total of three million Chinese and foreign tourists are projected to visit the region in 2009, the Regional Tourism Administration predicted. Previous: Spain's tourism activity drops 7% in Jan.-Mar.